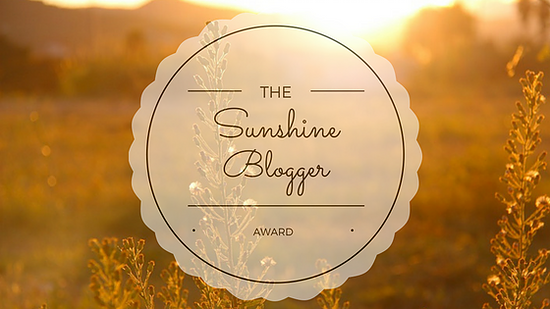 OK, here are my Sunshine Blog nominations. I haven’t warned these bloggers (bad form? ), and therefore, there’s no obligation—they’ve brought me much enjoyment and information anyway. This is an aggregation site that gathers links from around the web about poetry or presenting poems online, with only occasional personal asides. Through Tribrach, I’ve been alerted to articles I agree with, to articles that tell me about something I don’t know, and to articles that I don’t agree with much at all—and those last two really can inspire new work! Also Tribrach beats Parlando in the “little-known word for blog title” contest. Doesn’t post as often as some blogs, but every single post is a sharply written, well thought out review of a book on a musician or musical topic, usually somewhere in the rock genre. It’s tipped me to some good books, and the writing is first rate and knowledgeable. And here’s what I understand are the rules and such. Nominate new blogs to receive the award and ask them questions about their blog and/or themselves. 2. What is your favorite post on your blog? 3. If you know, what is the most popular post on your blog, and why do you think that happened? 4. What is your favorite book or poem about music? 5. You have a magical grant and can put one writer and one musician or band (living or dead, magical!) in a studio to produce a piece of work. You’re the producer, but you’ll have great audio engineers to assist you. Who’d you combine? 6. You can go back in time. When and where would you travel? Who’d you want to locate there to show you around? (Virgil’s been taken already, sorry). The title I’ve been using for these three Sunshine Blogger posts comes from what may be the second poem Emily Dickinson wrote, before she had fully formed her voice, reminding us that before Emily Dickinson could give us Emily Dickinson, she was just Emily Dickinson. Thanks again to Daze & Weekes, the bloggers I named, and all the bloggers out there reflecting, recalling, shining.